Saturday, April 16, 2016, Uncle Bob’s Self Storage in Sanford, FL & 98.9 WMMO had a meet and greet with Aaron Gordon of the Orlando Magic. In attendance, were 300 Orlando Magic fans excited to get an autograph from AG. There would be a video game basketball competition. The winner of the tournament, would get to play Aaron Gordon. The winner of the competition Chris, ended up defeating the Magic forward in their one on one match up. Unfortunately for Aaron, like the 2016 slam dunk contest, he would be the runner up. We were hired to provide the event videography for Uncle Bob’s Self Storage meet and greet. Check out the highlight video and interview below, put together by Uncle Bob’s Self Storage of the Aaron Gordon meet and greet. 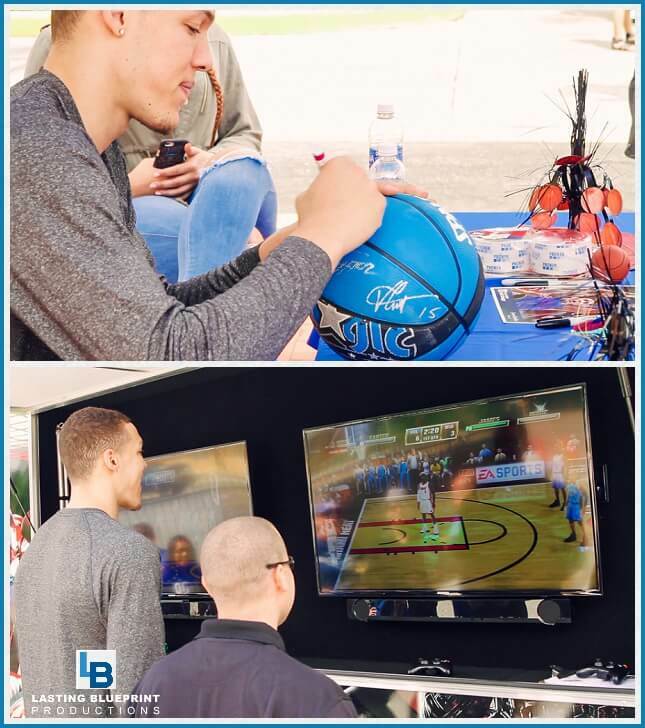 You can also read more about the Aaron Gordon meet and greet on Uncle Bob’s Self Storage blog.